I've been a writer since childhood, when I began by writing short stories and poems. I loved writing so much that I majored in journalism in college, and went on to become a daily newspaper reporter. I worked as a metro desk reporter in Florida and in Richmond, Virginia (where I now live), and my first and second novels were written while I still worked full-time at the Richmond Times-Dispatch. I ended my 14-year newspaper journalism career in 2006 so I could focus on writing novels and freelancing. Where does your inspiration for your characters come from? A lot of it comes from the daily news and women's issues that I hear being discussed over and over. Sometimes it may come from interactions with readers in which I hear them voicing the same concern, fear or need, independently of each other. And often I'll have a particular issue I want to address, based on what I'm hearing from my readers, and I'll craft a character, or a creative plot, to help me accomplish my goal. 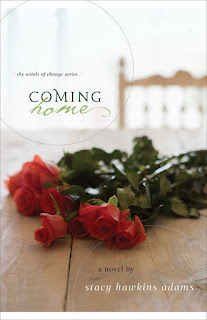 I'm hoping readers of Coming Home will receive the message that while it isn't easy to forgive, it's not impossible, and that when that goal has been accomplished, one can begin to fully live again. I also want them to see the beauty and power of sacrificial love. That isn't easy either, but it's not unrealistic, and sometimes it can be life-changing for everyone involved. There are numerous topics that could be considered controversial, depending on the reader, but my goal in everything I write is to explore real issues and help the characters (and my readers) figure out how to handle those issues through a framework of faith. I've written in the past about homosexuality, teen pregnancy, domestic abuse, adultery and what could pass for prostitution. I don't shy away from those kinds of topics, but if I'm going to write about them, it's for a particular purpose - to help my readers learn a lesson or gain a deeper understanding of a particular character's issues and needs. Most writers have a process or method for writing their books, what is yours? There are two things I do every time I write a book: First, I give my main characters a life history. I write a summary of their age, their education, their birth order, their personality, their favorite colors, etc. so I can begin to understand what would motivate each person, and what he or she would likely to do in a particular situation. The next thing I do is spend time with these characters for several months, just thinking about them as if they're real people, asking myself "what if" questions, before I write one word. Doing this helps me to "know" them better, so that by the time I sit down to write, it's an easier process, because I am writing based on how the character would handle each situation or crisis, versus what I would have him or her do. I love a range of books. When I'm writing fiction, I tend to steer clear of novels, just so my own work remains pure. So that means I read a lot of nonfiction. I read everything from inspirational and devotional books to titles like Steve Job's biography or one of Malcolm Gladwell's book. I also enjoy books like Isabel Wilkerson's "The Warmth of Other Suns" and "The Immortal Life of Henrietta Lacks." Are you an avid or occasional reader? Both! :) When I'm super busy I don't read as often as I'd like, and yet, I love and breath reading and writing. So even when I can't settle down with a good book on a Saturday or Sunday afternoon and read for a long stretch of time, I'll read a chapter each night, to at least move myself forward and stay engaged. I have several books on my nightstand, and I read from one of them every night and another sometimes in the mornings. What are two things you want your readers to know about you? I'd love them to know that I'm sincerely grateful that they take the time to buy and read my books and often reach out to me to let me know how my characters and stories have touched them. I don't take them for granted! I'd also like them to know that I pray over each book, as I'm writing each chapter, so that the book will make an impact. I definitely want them to be entertained, but I also want them to finish my books feeling inspired and hopefully blessed. And if I can add a third thing, I guess I'd like them to know that even though I can be an introvert and sometimes shy, I actually love people and love to laugh and make others laugh. J. California Cooper. She is so wise, and she writes in a way that teaches life lessons without preaching. I'd love to understand her writing process and what motivates her as a writer. What is or was your dream job? This is it! :) I started writing at age 5 and declared at age 8 that someday I would be an author. Even as a child, I had the privilege of seeing the joy and light my writing gave others, and I've always wanted to do this. I'm grateful to be living my dream. I'm working on the sequel to Coming Home. It will be released in March or April 2013, so I'm writing fast and furious these days! Readers can find me on Facebook at www.Facebook.com/BooksByStacy, on Twitter at www.Twitter.com/SHAdams and of course on my website, atwww.StacyHawkinsAdams.com. Thanks for featuring me! 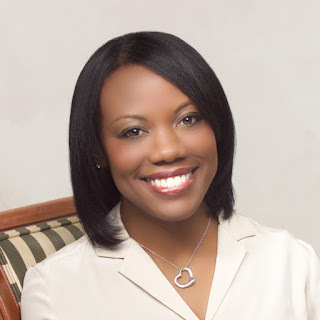 Stacy Hawkins Adams is an award-winning inspirational author, speaker and freelance journalist who has written about women’s relationships with God, each other, and themselves for more than a decade. She has penned seven nationally published women’s fiction novels and one nonfiction book, and is at work on her ninth book. Stacy also operates a group coaching service for aspiring authors called Author In You. For more information about Stacy, her books or her coaching services, visit www.StacyHawkinsAdams.com or www.AuthorInYou.com. If forgiving your ex-husband was easy, everybody would do it. Brent had cheated on Dayna and coldly said goodbye to her seven long years ago—dashing her hopes of having children or growing old with the love of her life. Working hard to make herself successful as a hospital executive, Dayna has moved on, finding comfort in a new relationship with a faith-filled colleague, Warren. But when Brent resurfaces on her doorstep at just the wrong time, Dayna’s heart threatens to come unglued. Why is Brent asking for forgiveness now? And why are he and his new wife, Tamara, interested in reconciliation with Dayna? The unbelievable answers begin to surface as Brent boldly asks Dayna to support him at the most crucial time of his life. While Tamara’s heart brims with guilt, both women will discover what it means to reach beyond pain and baggage to love unconditionally, while leaving the consequences to God. If you have read the book, please post your book review here or link to it if you have posted the review in another spot. We do encourage posting book reviews on Amazon.com and other online bookstores. Leave a comment below to enter a chance to win a free copy of Coming Home by Stacy Hawkins Adams.